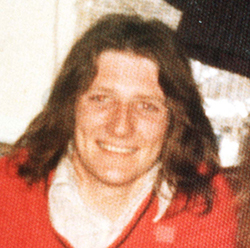 The Bobby Sands Trust is indebted to Lisa Gleeson (Green Left) for this updated report. 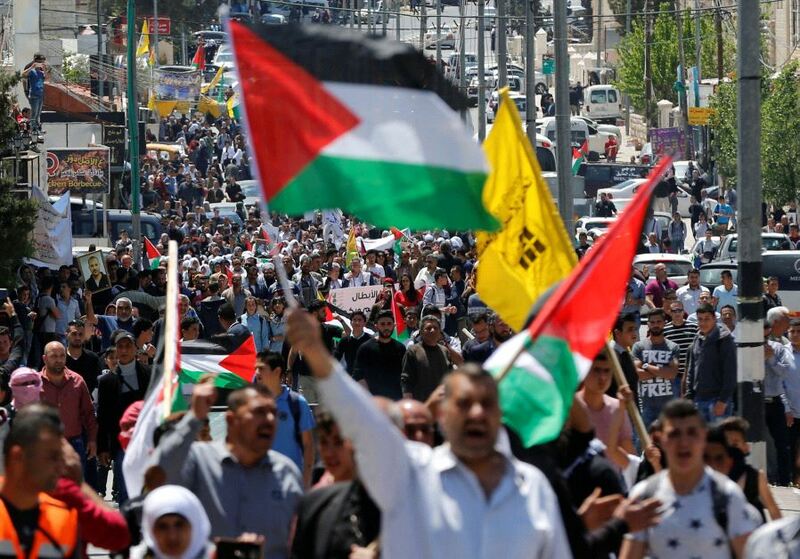 On April 27, thousands of Palestinians launched a general strike in solidarity across the occupied West Bank and East Jerusalem, shutting down their public transportation services, shops, businesses, banks and schools, TeleSUR English reported. The Ma’an news service reported that on the day of the strike, the streets were so empty, they were reminiscent of the First Intifada (“uprising”), which started in 1987, when Palestinian general strikes were part of a coordinated civil disobedience campaign against Israeli forces. The next day, more than 50 Palestinians were injured in clashes with Israeli forces in protests across the West Bank as part of a “Day of Rage” called by Palestinian party Fatah. Gazans are also protesting in support of the hunger strikers “Freedom and Dignity” campaign, with many camping in the streets of the territory still subjected to a cruel Israel siege. Meanwhile, there are reports that the health of hunger striking prisoners continues to deteriorate. Some have reportedly begun refusing water. TeleSUR English reported on April 26: “According to the Media Committee for Palestinian Prisoners’ Hunger Strike, a joint committee formed by the Palestinian Prisoner’s Society and Palestinian Committee for Prisoners’ Affairs, a number of prisoners being held in solitary confinement in Ramla prisons had stopped drinking water. As well as placing identified leaders in solitary confinement, the IPS is separating out hunger strikers as much as possible, and has removed all personal belongings from those taking part. It is safe to say that, at the very least, the treatment of Palestinian prisoners does not measure up to the so called “Nelson Mandela rules” established by the UN on the minimum standards for the treatment of prisoners. After nearly two weeks on strike, prisoners were starting to be transferred to hospitals and prison clinics. The hunger strike’s leader, Marwan Barghouti, remains in solitary confinement in deteriorating health. Far from being a last resort, solitary confinement is a punishment tool regularly used by the Israeli Prison Service (IPS). On April 16, an opinion piece by Barghouti entitled “Why We Are on Hunger Strike in Israel’s Prisons”, was published by the New York Times, and syndicated in other publications. The decision of the NYT to run the piece outraged the Israeli media, claiming Barghouti was a murderer and terrorist. Pressure from Israel led to a later version of the piece, which was only published online, being amended to list the crimes Barghouti was jailed for (murder and belonging to a terrorist organisation). Barghouti’s op-ed aside, mainstream media outlets are otherwise mostly remaining silent. However, international solidarity with the hunger strikers continues to build. A statement of support was issued by former Robben Island prisoners in South Africa, the infamous jail where the Apratheid regime jailed opponents, including Mandela. On the other hand, Israeli Defense Minister Avigdor Lieberman condemned the hunger strike. Ominously, Lieberman commenting on social media that he would treat the hunger strikers the same way that the British government treated Irish political prisoners who went on hunger strike in the early 1980s. In 1981, the intransigence of Britain’s Margaret Thatcher government, which publicly stated its “refusal to negotiate with terrorists”, led to the death of 10 men on hunger strike. It seems clear the minister has no interest in addressing the prisoners’ immediate concerns, nor the implications for stability should Palestinian prisoners die. His attitude is echoed in the actions of Israeli extremists, reportedly from the youth-wing of Lieberman’s right-wing National Union party, held a BBQ outside Ofer prison on April 20 to taunt Palestinian prisoners. The authorities made no attempt to stop the BBQ. By contrast, widespread arrests of Palestinian civilians across the West Bank have taken place since the hunger strikes began. Arrests and home invasions are a daily occurrence in the Occupied Territories, but the rate appears to be spiking.